Wednesday’s session of the All Party Parliamentary Cycling Group’s ‘Get Britain Cycling’ inquiry is about "active lifestyles". British Cycling’s Chris Boardman – so eloquent at putting the case for cycling in TV interviews – will be the last witness called. 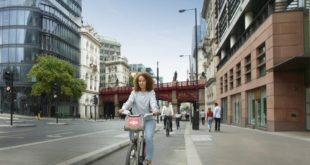 "Our research consistently indicates that concerns over safety are a key deterrent to people trying cycling, particularly amongst women," said Boardman. "British Cycling has learnt, both in cycle sport and everyday cycling, that with sustained investment, strong leadership, and focus on key outcomes, big changes and achievements are possible. We believe that in order to make a step change in levels of everyday cycling the Department for Transport must make the policy decision that cycling must be considered before any new roads and junctions are built or transport schemes or policies that affect roads are implemented. It is the failure to do this over the last several decades that has created infrastructure and policies which are hostile to cycling." Boardman has worked on a short video entitled ‘Who are cycle lanes for?’ ahead of his parliamentary appearance. The video, shot on a road near his home, highlights the need to support the growth in cycling – at elite and grassroots level – with better provision for people who want to use their bikes to get around. The video shows an all too typical "bike lane", which fails in many ways and is standard provision for UK’s cyclists. “When we consider questions like these, I think the answers will lead us in one direction: we need more and better provision for people who want to travel by bike. To be discussed tomorrow in parliament will be cycling’s health benefits, and what works to maximise these benefits. The Government’s public health reforms – particularly the changing roles of Public Health directors – will take centre stage to see what implications there will be for promoting cycling. 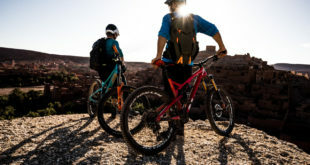 A variety of representatives of Government departments – including Department of Health, DfT and Department for Culture, Media and Sport – will be asked whether active travel has cross-pollination benefits across departments and how the departments can actively promote and support cycling. 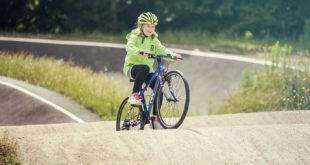 A number of witnesses – including Boardman – will be asked whether it is legitimate to look to cycle sport for lessons for everyday cycling. Many people cite the focus on cycle sport as one of the reasons that utility cycling isn’t seen as something everyone can do. Sustrans will be at the inquiry again, this time represented by Phil Insall. Independent public health expert Dr Adrian Davis will also be called to give evidence. He is an advisor to the Bristol Cycling City project and is currently on secondment to the Department for Transport, advising on maximising the benefits for active travel from the current public health reforms. The session will be held at the House of Commons in Committee Room 8 between 9.30 and 11.30am tomorrow.